Getting media in the mail is my favorite, and the postcards are in! That must mean we're getting closer to show time! Join us on March 28th at 6:30 pm for a fabulous Workshop at Dance Place, on March 29th at 3pm for a Site-Specific Dance Experience at the National Portrait Gallery, and then at 7:30pm for a Salon-Style Show at Brookland Artspace Lofts. Much exploration and discovery will be had. 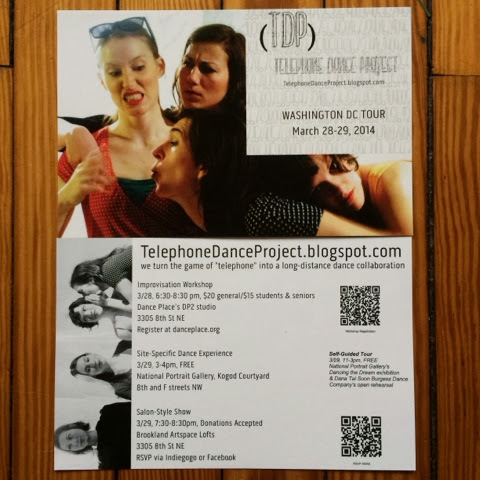 Washington D.C. - February 13th, 2014 - Telephone Dance Project (TDP), a long-distance dance collaboration, brings their unique site-specific improvisational performances to D.C. in a weekend full of dance. 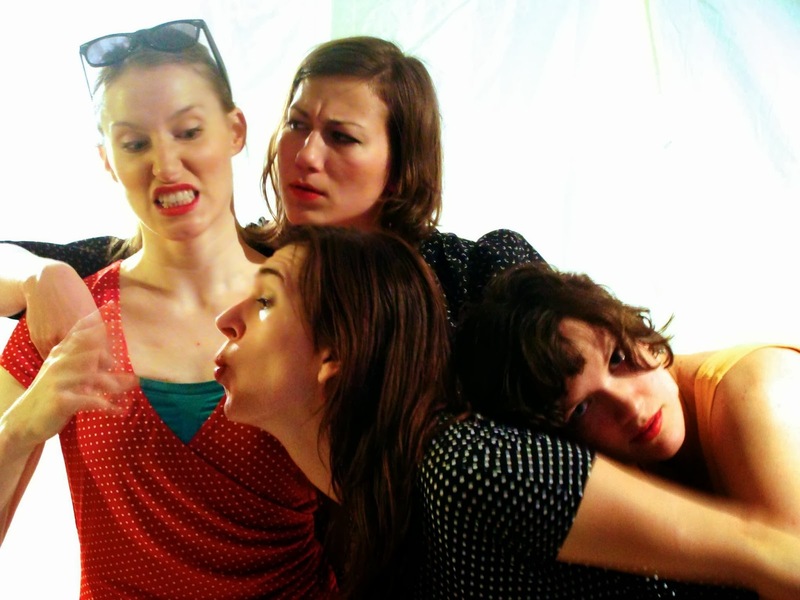 TDP will host an Improvisation Workshop at Dance Place, a Site-Specific Dance Exploration at the National Portrait Gallery, and a Salon-Style Show at Brookland Artspace from March 28-29th, 2014.